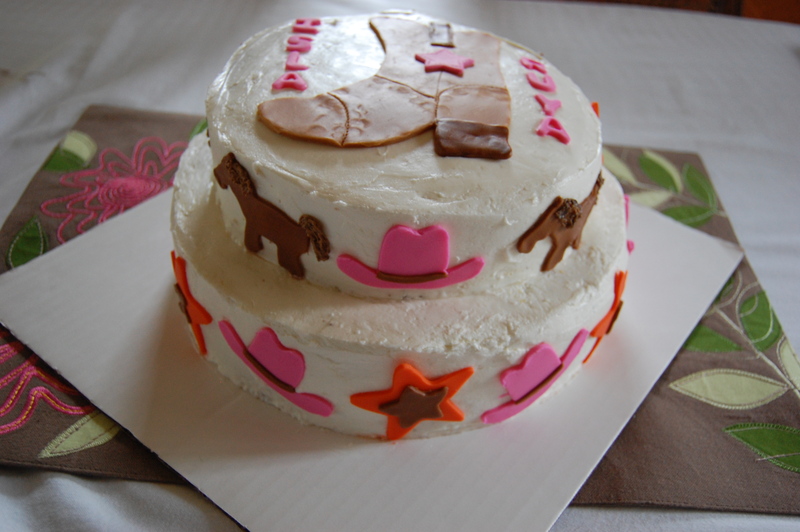 My daughter and my niece both have a birthday in September. So, this year we decided to throw them a joint birthday party. My mother-on-law and sister-in-law did such a great job on the decorations and treats. 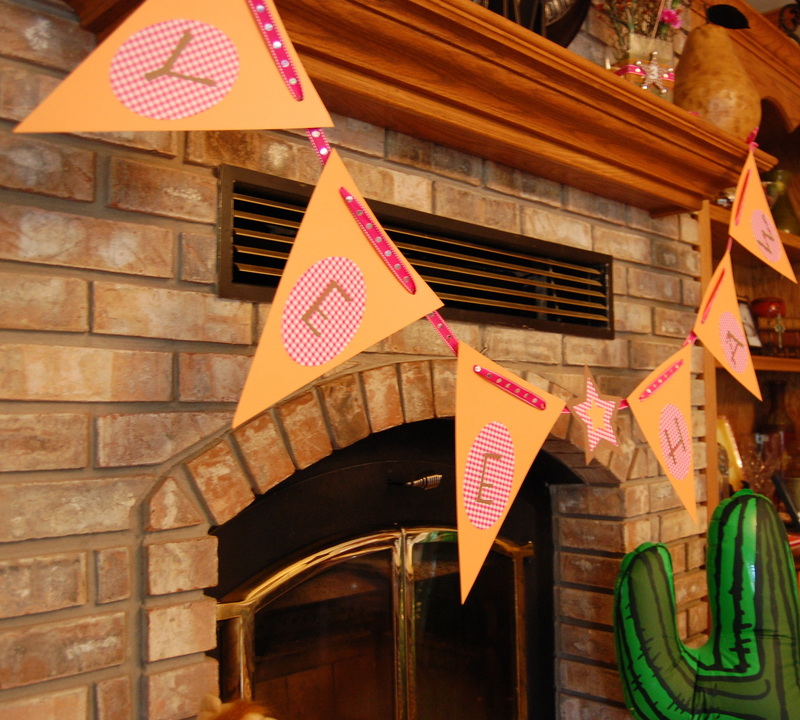 The girls had such a fun time at their party and the guests enjoyed every detail. My mother-in-law made this adorable banner that hung by the mantel. 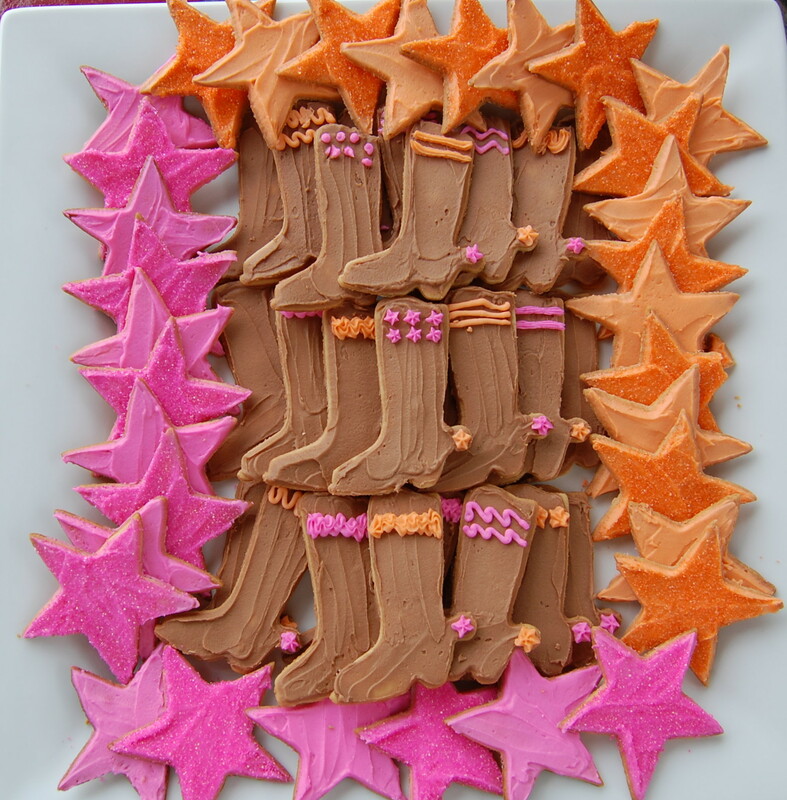 My sister-in-law made and decorated these super cute cook cut out cookies. They were delicious too! 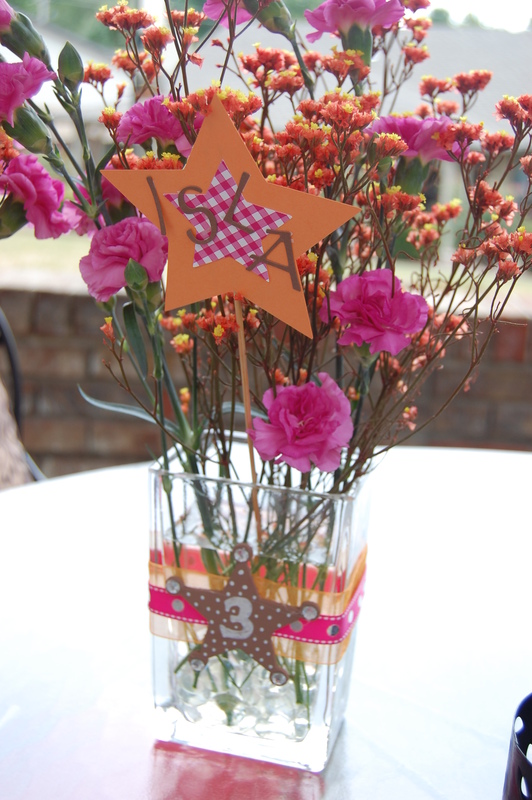 Each birthday girl had their own vase with their name and age filled with pink and orange flowers. 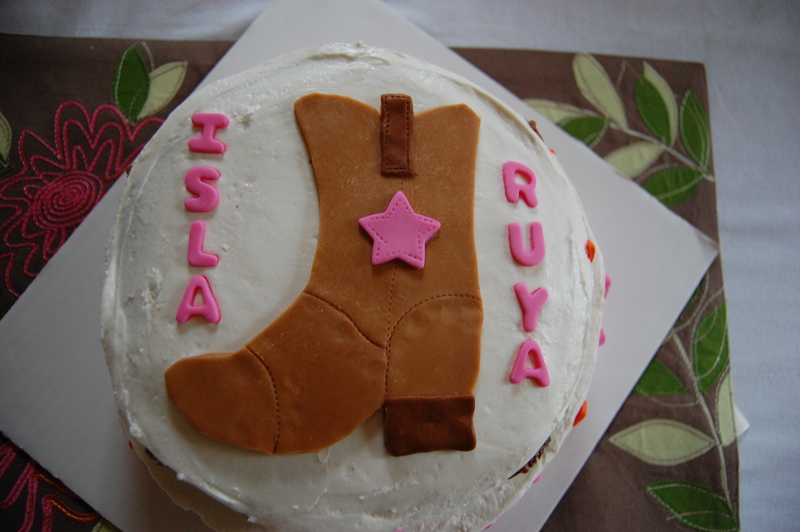 Friends of the family made this adorable cowgirl cake as a birthday present to the girls. It tasted as good as it looked! 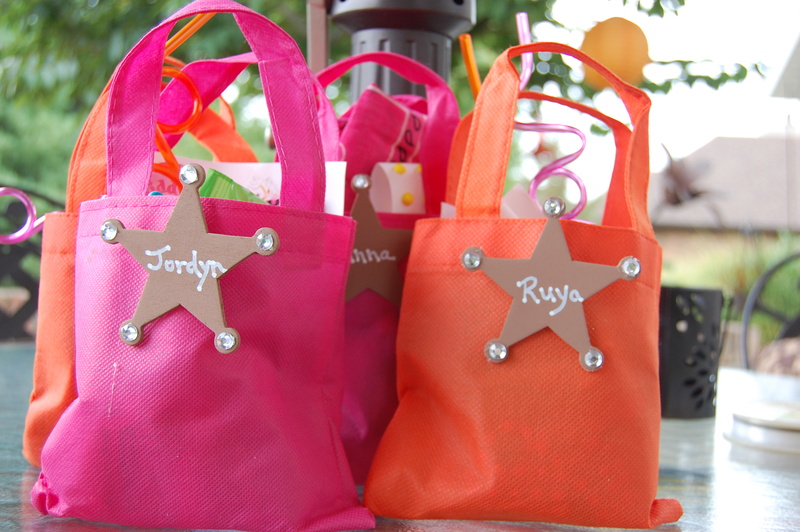 Guests were given goodie bags adorned with a pin-able sheriff’s badge with their name. 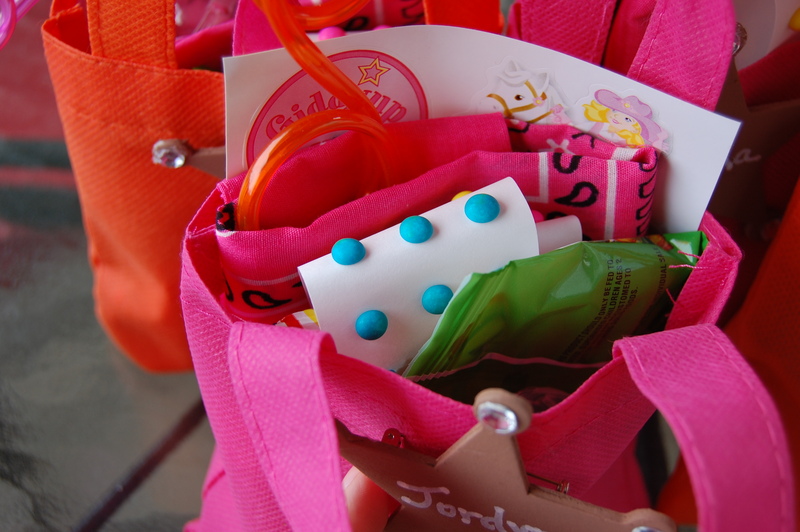 Inside were cowboy stickers, bubbles, a bandana and lots of candy treats. 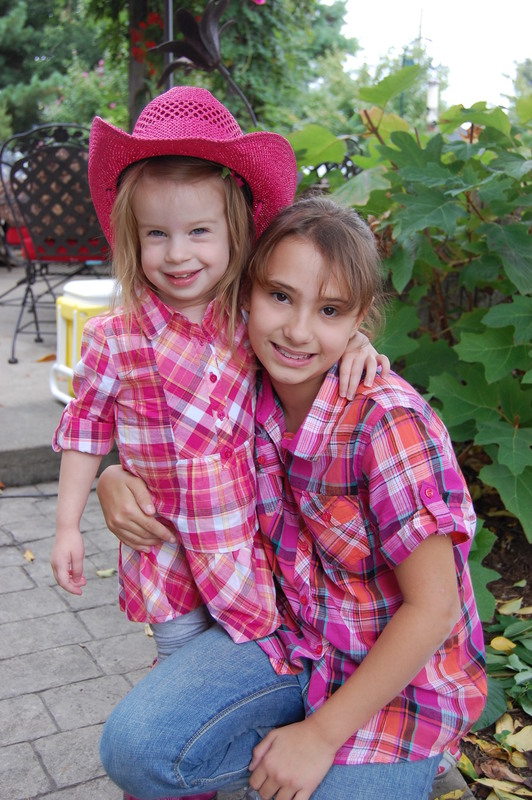 The birthday girls looked cute in their pink and orange cowgirl shirts and had a blast at their party! Special thanks to my family for throwing such a wonderful party for the girls!